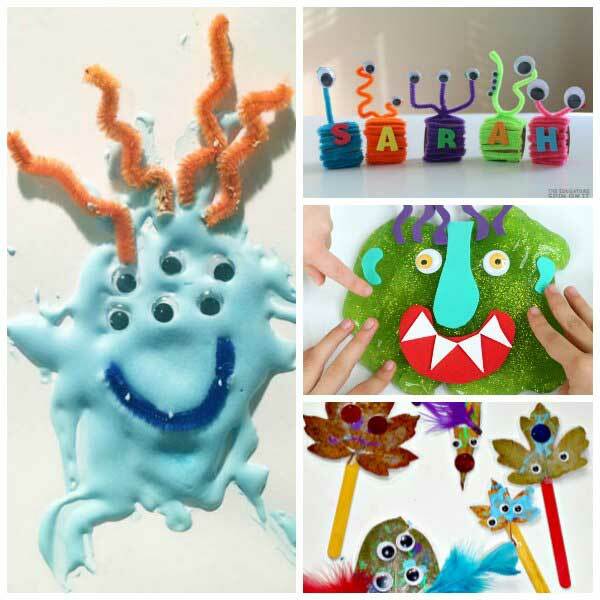 Halloween is just around the corner and things that go bump in the night can be quite scary for toddlers and preschoolers so for this week’s theme for the Virtual Book Club for Kids we’ve chosen Monsters giving you a chance to talk, interact and make those big green scary ones go away and be a little less scary for the kids. Our Featured Book this week is Go Away Big Green Monster by Ed Emberley a Caldecott Award winning Author and Artist. Don’t forget to join our weekly newsletter or our Facebook Group to keep up to date on the weekly themes as well as get more ideas and inspiration for connecting and creating books – full details to sign up and join can be found at the end of this post. In this fun book – Go Away Big Green Monster by Ed Emberley a scary monster appears, with sharp teeth and green skin and then by the magic of storytelling it slowly disappears making this a perfect book to help children deal with the fear of things that go bump in the night. The die cutouts within the book make this is an interesting book to keep your child’s interest as you read through. I really like the simplicity of the language used and also the repetition and rhymes. A fun book that is part of a series now perfect for toddlers and early preschoolers. 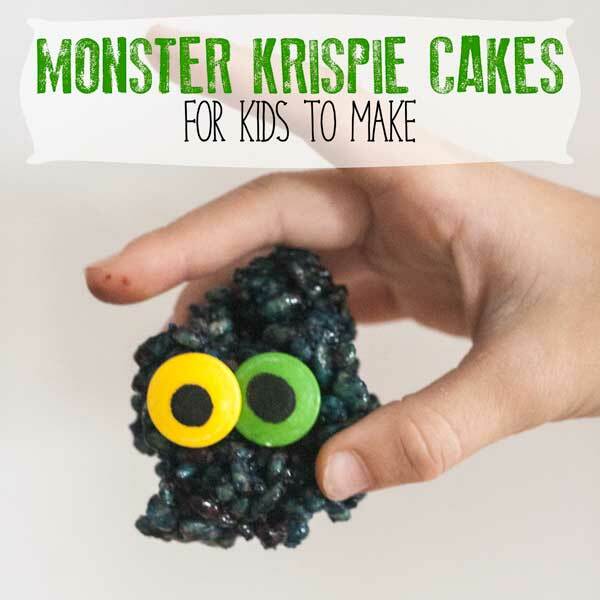 Delicious easy to make recipe for Monster Krispie Cakes can be found over on Rainy Day Mum. 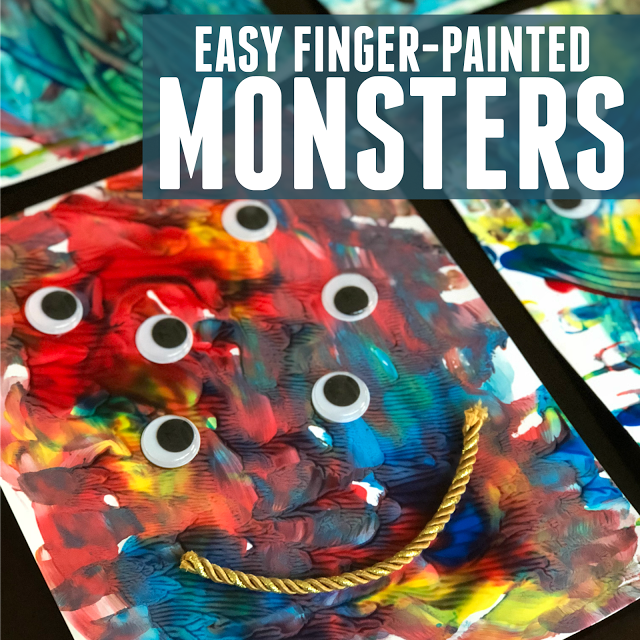 Get a little bit messy and have fun with these Easy Finger-Painted Monsters from Toddler Approved. 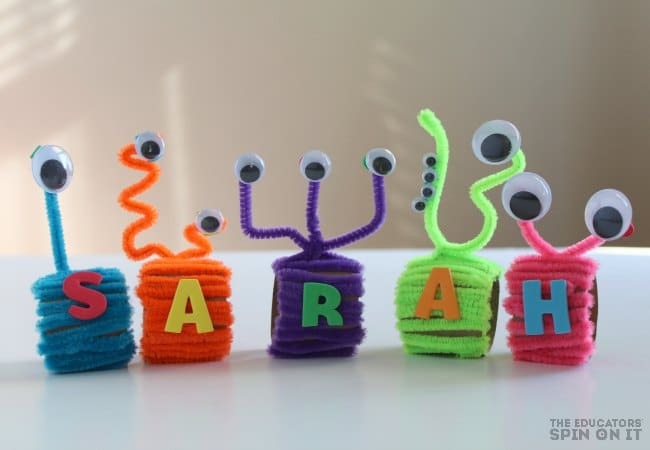 Get creative and make your own Monster Themed Named Necklace a little bit crafty, a little bit of learning and a whole lot of fun from The Educators’ Spin On It. Interested in sharing more book based activities, crafts and more with your toddlers and preschoolers then come along and join in our weekly Virtual Book Club for Kids. There are two easy ways that you can get the activities and ideas for each weekly theme and even more. 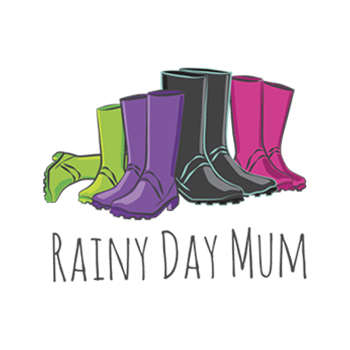 Over on Facebook, you can find a fun group filled with parents, carers and educators sharing ideas and inspiration for connecting and creating learning experiences around books. 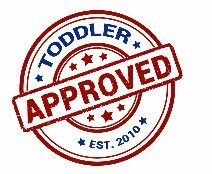 The weekly group includes activity ideas, songs, rhymes and additional activities shared by the coordinators and co-hosts each week. Sign-up for our weekly email where once a week you will be sent a link straight to your inbox with access to the activities, featured book and more resources here on The Virtual Book Club for Kids. It’s easy to do just fill in the sign-up form below and watch out for the confirmation email in your inbox. 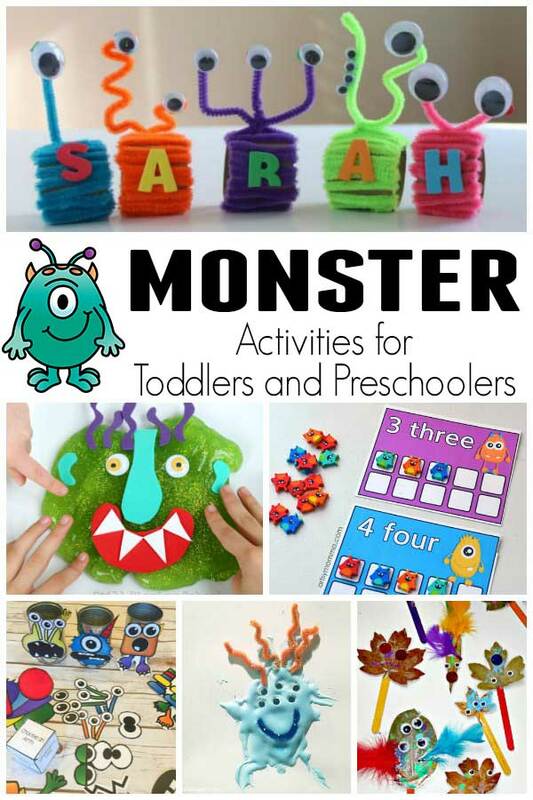 Don’t worry if you can’t find a copy of Go Away Big Green Monster we have got further suggestions of Monster themed books that you can share with your toddlers and preschoolers that will work just as well. Or why not add them to your weekly book basket to share in addition to the featured book this week. 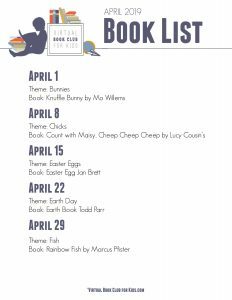 These additional activities are created by the co-hosts of the Virtual Book Club for Kids to help you connect and create learning experiences that are fun and bring books alive.